We had fun raising money for the Nothing But Nets campaign to end malaria in Africa. 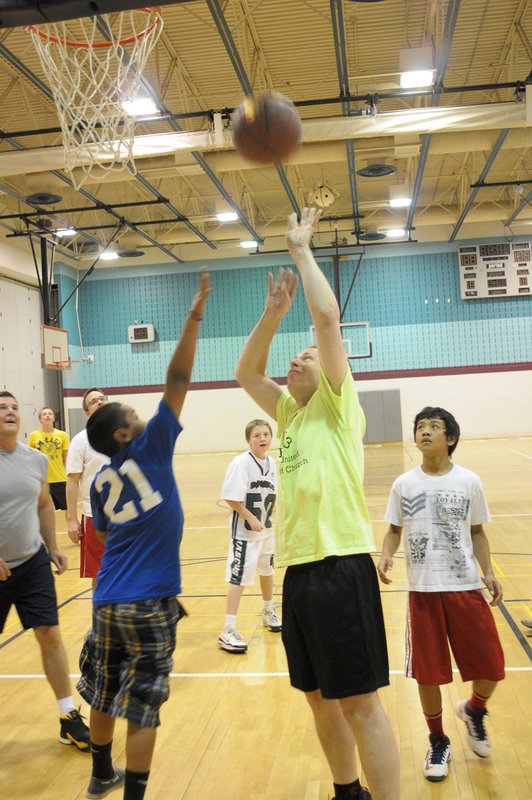 The youth challenged the adults in a rematch of last year’s full-court basketball contest. Once again, the youth edged out the older folks in a victory for them … and for children in Africa who will benefit by having bed nets to protect them against malaria-causing mosquito bites while they sleep. The disease kills more than 600,000 people a year, mostly children under the age of five. Join in the fight. Ten dollars buys one net. Click here to help.